The best thing about the warm season is the ability to spend more time outside. Cooking and eating outside is always a treat. 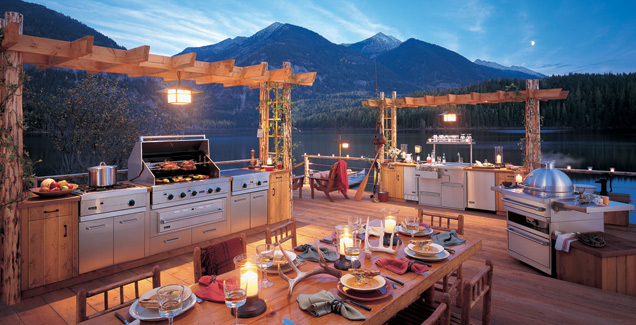 Whether you're just cracking a few beers with friends or whipping up five courses with the fam, these crazy outdoor kitchens go way past grill-mode. Poolside. 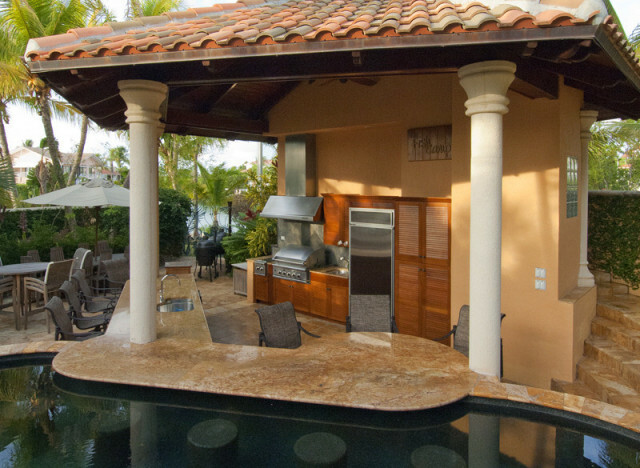 Who wants to eat outside when you can eat poolside? This stunning outdoor eatery in Marathon, Fla. lets you sidle right up to the splash zone. City views. 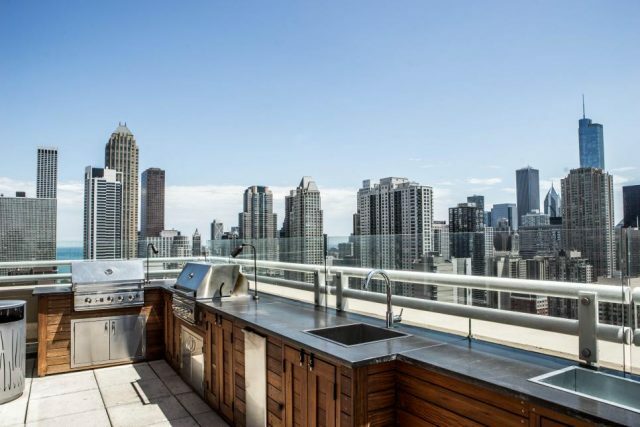 This outdoor kitchen has dreamy views of Chicago! Who is down for deep dish, al fresco? Innie-outie. This den-like kitchen in Texas is a fusion living room/kitchen that feels like an interior scene, even though it’s technically outside. Mod pod. 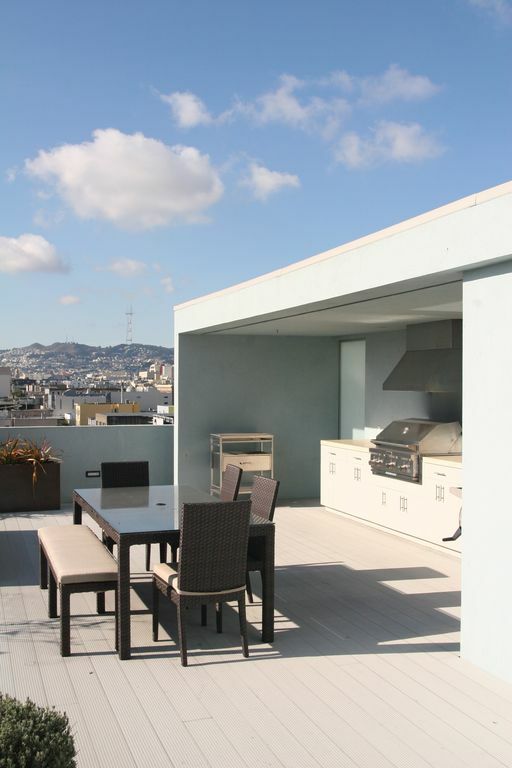 This LA outdoor kitchen is so sleek it’s easy to overlook as an eating space. Drinks anyone? Mountain dreams. Those mountains though! 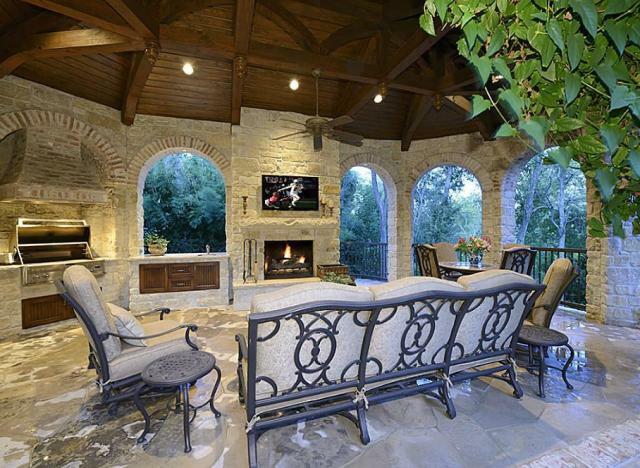 This cozy, lodge-style outdoor kitchen is what dreams are made of.